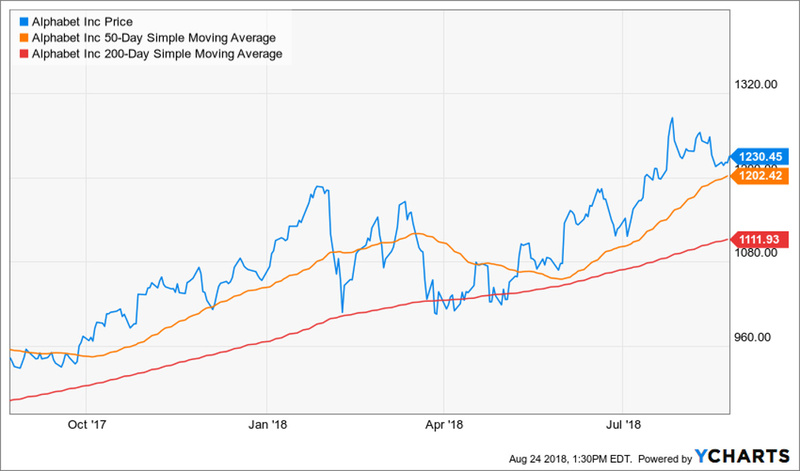 Financial technology has reached an inflection point. We can already see a new set of winners emerging in the payment industry. Costco (COST) is reportedly set to start rolling out contactless payments at all of its 750 warehouses. This is a big win for Apple Pay, the software that lets iPhone users tap to pay. But it’s a bigger win for Alphabet (GOOGL). It pioneered the phone-as-wallet concept. It was 2011 when the Mountain View, Calif., company revealed its mobile payment system. Development partners Mastercard (MA), Citibank (C) and First Data joined Google product mangers on a stage in New York. There, they explained why tapping a smartphone at the point of sale made so much more sense than rooting around in pockets and purses for credit cards and cash. Their big idea was Google Wallet. It used a radio wave technology called Near Field Communications (NFC) and software to turn Android smartphones into virtual digital wallets. It was a compelling argument for the future of mobile payments. Unfortunately, it went nowhere … at least not until Apple showed interest. After a flurry of payment-related acquisitions, the iPhone maker formed a powerful alliance of its own. Apple partnered with American Express (AXP), Visa (V) and Mastercard in 2013. 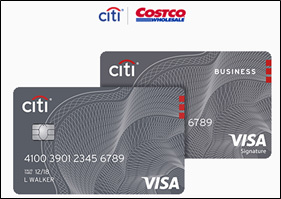 Costco is rolling out tap-and-pay for the more than 7 million contactless-enabled Costco Anywhere Visa Cards by Citi. Its gas pumps are also designed to accept contactless payments. A year later, Apple Pay was born. It also used NFC, but its big innovation was anonymizing personal data with single-use digital tokens. Over time, EMV tokenization has become the standard for contactless payments. NFC-enabled point-of-sale terminals — which Visa and Mastercard championed — are now standard equipment in most parts of the developed world. By default, all of these devices also support Apple and Google mobile payment systems. In the second quarter of 2018, Moneris, a leading Canadian transaction processing firm, reported nearly half of all transactions in that country were contactless, the highest share ever. Dollars spent and the number of transactions surged 33.9% and 31.8% respectively. Visa Europe notes 3 billion contactless payments were completed during 2017. 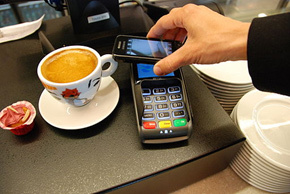 The processing company says 3.2 million contactless POS terminals are now active in Europe. And in the U.S., Starbucks (SBUX) now processes 8 million mobile payments every week. The figure is 16% of all transactions at the trendy coffee shops. Bringing NFC-enabled terminals to Costco is a giant step into the mainstream. The warehouse shopping clubs have become emblematic of middle-class suburban culture. When shoppers discover they can pay for Kirkland signature pre-cooked bacon and toilet paper by simply tapping, there will be no turning back. And Alphabet is poised to clean up. The company bet early on NFC. It played the long game. Other tech companies focused on selling the hardware around the sensor. Alphabet concentrated instead on collecting digital data — the most valuable commodity in the age of information technology. Today its software, available on Android and Apple devices, is capable of routing commuters around traffic jams, or recommending the best time to visit restaurants, shopping malls and museums. The root of this innovation is the anonymized data it collects continuously from a billion smartphones. Alphabet will be in a position to offer saleable information about worldwide consumption trends. Its algorithms will be able to analyze supply chains in real-time. It is a bit ironic, as Alphabet has often been overshadowed by Apple. Although its Android operating system commands 85% worldwide market share, Apple wins all of the operating profits from smartphones. Although Alphabet is often first to the market with innovative products, including mobile wallets, Apple wins all of the praise for category simplification. In the ongoing smartphone platform war, declaring Apple the victor is easy, and common. This assessment is too simplistic. In the era of information technology, collecting and owning the data required to build future platforms is probably more important. I would argue the value of the data transcends near-term operational profits. Alphabet shares do carry inherent investment risks. Privacy concerns abound. However, my guess is investors will awaken to the possible data use cases before users revolt. If they ever do. Great question, Karen! It is easier for children to learn uppercase letters first, as there are only two uppercase letters that can be mistaken for each other when flipped (M and W). With lowercase, however, there are at least 5 pairs of letters that can be mistaken when flipped or rotated. Lowercase is more difficult. We have a great blog post about How to Teach the Alphabet to Preschoolers that discusses this and other considerations. Even better, it contains links to a number of free letter activities and games for making learning the alphabet lots of fun! Please let me know if you have questions. It sounds like you and your preschooler are going to have a great year!